This problem is caused due to inflammation in the airways. It is a chronic lung inflammatory disease. This problem causes long term breathing disorders. In this problem the airways are always inflamed and they become swollen and muscles around the airways get tightened causing difficulty for the air to move in and out of the lungs. This problem cannot be cured, but can only be controlled. Treatment at an early stage can have fewer chances of attacks. 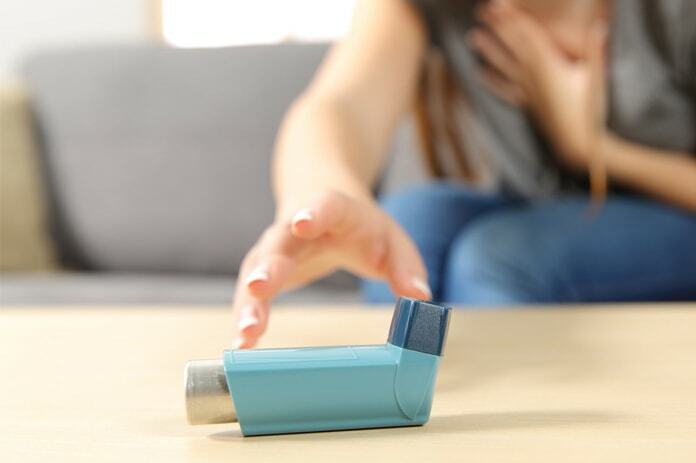 Read on this article to know some effective tips to manage and cure asthma attacks naturally at home. 3.5.1 Was this article helpful? Aspirin Exacerbated Respiratory Disease (AERD) (this occurs due to intake of some aspirins. When people take aspirin, they develop sneezing, and a stuffy nose. Cough variant (This is caused due to dry hacking cough. It can occur at any time either at day or night and can affect both adults and children). Occupational asthma (This happens while doing some work usually due to some smoke or irritants such as chlorine. This is not related to any allergy. In this when the irritant is inhaled by the person at the same time he suffers from an attack). This division is based upon the symptoms. And based upon the symptoms the medications are provided. Maintenance medication (for long term control) They help to reduce the inflammation in the lungs that underlies asthma attacks. These are taken to keep the system stable regardless of whether you are having symptoms or not. Rescue medications (short-term control of asthma attack) These medications are mostly used while the patient suffers from that causes shortness of breath. These are the medications provided to control the symptoms of asthma, but the problem cannot be cured from its roots, but there are other ways by which this problem can be cured. This treatment is done through natural herbal remedies that are formulated using natural herb and herb extracts. These medicines are formulated for this particular problem due to some properties that the herbs have. The asthma care pack is specially formulated to cure the problem of asthma and the symptoms of asthma. The pack consists of certain herbal remedies that help to eradicate the problem and its symptoms. Cinnamomumzeylanica The anti-septic, astringent and carminative properties of this herb can relieve the loss of appetite, bronchitis, colic and asthma. Adhatodavasica This herb is considered useful in problems like tuberculosis, bronchitis, and other lung diseases. Tylophoraasthmatica This particular herb is useful in curing the problem of cold, dysentery, allergies, hay fever and arthritis. This is also considered as a blood purifier. The root and leaf powder of this herb is used in curing many diseases. Glycyrrhizaglabra This herb maintains the level of estrogen in the body. This is considered helpful to relieve stress and fatigue. Azadirachtaindica– Neem is considered as the cleaning agent and disinfectant. This herb works very well on infections, allergies and inflammation. Marvelous results in cases of skin diseases like psoriasis, acne and eczema are found. Withaniasomnifera-This herb contains natural rejuvenating properties and can solve the problem related to fatigue stress and weakness. Tulsi is used in various herbal products, and teas due to its strong aroma and other properties. This herb is especially beneficial to the throat and chest. These herbs have anti-oxidants properties and helps in removing anti-oxidants from the body. It is also used in various cough syrups and prevents cold, cough and flu. Regular intake of these helps in relieving of problems such as croupy cough. This asthma care pack formulated by Planet Ayurveda is a complete solution for all types of asthma problems. This pack contains effective herbs described in Ayurveda as the best anti-inflammatory and anti-allergic herbs. These herbs work naturally in moderate asthmatic conditions. These herbs work in unison to fight with allergies that take place during chronic asthma. These herbs relieve the allergies from the immune system and bring in a perfect harmony amongst the energies which result in perfect balance and health.